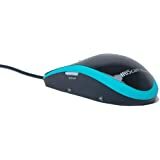 If you are reading a book or magazine or newspaper, and find some interesting picture or text, and want to take that picture or text directly to your computer desktop or laptop, than there is a way to do it through a mouse sold by the name "Iris Mouse Scanner". The maker of this product is a company called I.R.I.S which is world leader in Optical Character Recognition technologies (OCR) and mobile scanning. The photos you took from your camera, of any toy or your girl friend or anything else, can also be scanned and put to your computer instantly by using this scanner mouse. This mouse scanner will scan the picture, or text on the book or magazine or newspaper, once you place the mouse on the area where the picture, or text, or photo is located. But since base of the mouse itself has fixed area, you can simply drag (mouse button is held down while the mouse is moved) the mouse over all the area of the picture or text to cover the whole text or picture you want to scan. As you will drag on the book or magazine, the mouse scanner document on your computer will show the live scanning you are doing and that will help you to scan only that portion of the picture or text which you intend to do. However, full scanning can also be done for up to A4 size paper. Its not all finished here but once the picture or text have been scanned, one can also crop a particular portion of it and save it to the computer as an image or as a word or excel document. The text scanned in such a way can also be edited once taken to the word document after scanning. The image scanned this way can also be used in photoshop. Its simply an amazing product. There are also options in the mouse scanner document(software) to share the scanned piece of document on various social networking sites like facebook and twitter and also there is option to email the same to someone you want to. A CD will be provided along with the purchase to install the software associated with the mouse scanner and also this product can be used as a regular mouse if you are not using it for scanning purposes. So its two-in-one. If you have made a colorful painting and want to sell it on different arts and crafts sites this scanner will be best for you. This is a portable scanner that comes with a storage pouch. Its very light in weight and easy to use. 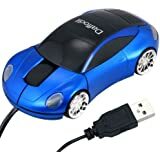 The mouse can be connected to the desktop or laptop through the USB cable provided along with the purchase. There is actually a button on the mouse and you need to use this button to turn the scanner mode on or off. Turning off this button means using it as a regular mouse and not as a scanner. Also there is a save button on the mouse to save the scanned document. Here is a nice video to find more uses of this awesome product. Its much easier than scanner printers you use which is time consuming. Even the house blueprints or street maps can also be scanned and copied to the laptop or desktop. Its a multi-purpose product meant for all age groups and a good item to gift someone who is using computers and web all the time. There is another similar mouse called zscan which functions the same way but it is connected wirelessly via bluetooth or wi-fi and also it can translate the scanned text into the required language using google translate. Another great feature of this mouse is that it can also take the scanned text or picture into an iphone or ipad which is not possible in Iris mouse as mentioned above. This Boogie Board device can help if your typing speed is slow. This USB fan shows a LED light clock display on the area of it's two rotating blades once switched on. This fit to pocket printer requires no ink and print photos on the go. Also view photos as live photos through an app in smartphone.